Meet the Team - We're not all bad! We pride ourselves on having a vibrant group of staff who all work to the same goal, putting the customer (you) first! We do not have a high staff turnover, and give all our employees the opportunity to grow within the company, just take a look at all the smiley faces above! 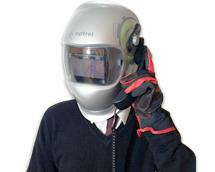 Craig 'The Weld' Elliott is the Managing Director and Technical expert at West Country Welding. With over 30 years experience in the Welding and Metallurgy industry, you can be sure that if it needs welding, craig will know how to do it. Gareth keeps an eye on all the day to day tasks, and ensures we keep up our excellent customer service! After memorising over 3000 part numbers, you would have thought that there wouldn’t be any space for anything else, but there isn’t much that 'Johnny' doesn’t know about welding... or the top 10 hits of 1981. Tom started as purchaser, but has progressed to general manager helping train and progress all new members of staff. He enjoys all sports, is a loyal Bath Rugby fan and attempts to play golf. Bob has an incredible knowledge, and there is not a lot that he hasn't done, or doesn't know about. Cool, calm and collected, he is an excellent member of the in house sales team. Mike is our very hard working 'get on with it' former driver, now internal sales. Always brings a smile, or a funny story, he is a great guy to have around. He is a big football fan, and enjoys coaching and watching. Stacey is our management accountant and the Mum of the group. More interested in Shoes and Handbags then welding, but she does an excellent job in making sure we get paid on time and that we always have plenty of cake in the office! Rachel is our credit controller, and does a great job keeping track of your orders and payments. She can often be seen pumping iron in the gym at 6am, or dancing like nobody is watching to Nellys ' Body on me'. With almost 30 years in the welding industry Rob has a wealth of knowledge and experience in the handling and maintenance of old and new technology.You ask the question and Rob will find the answer! Never happier than when travelling the British country side and coast line in his motorhome, knowing a glass of red wine awaits the end of the day. Sam is the youngest member of the team and is our trainee service engineer. Spending most of his days here caked in dirt and grease, he is keen to get his hands dirty to get the job done. In his spare time he loves nothing more than chilling out to a bit of smooth jazz or taking in the countryside on his motorbike. Paul runs the stores and looks after all the logistical needs of the company with over 20 years of experience in a stores environment . He makes sure that all our stock is upto date, and on the shelf ready for dispatch. He enjoys nothing more in his spare time, than scouring the paper's and hassling friends for their unwanted vinyl . Steve James is our Salesman for the Wiltshire area. He has a large, loyal customer base. Craig has a great knowledge within the Industry, and is an excellent road salesman for the team. He is a Bristol Rovers supporter, and even named his dog after Rovers legend, 'Ollie'! Kevin is our on road Salesman, based in Weston Super Mare. He has previous experience working at Würth UK, so brings excellent tooling knowledge. He is always keen to try new technology to increase sales. He is also a lifelong follower of Notts Forest, but he keeps that quiet. Jon Lewis is our Welsh salesman, and purging expert.